It's the start of Seoul Fashion Week! Held in Sectec & Kring through October 22 - 28, 2010, this season also commemorate its 10th year anniversary! 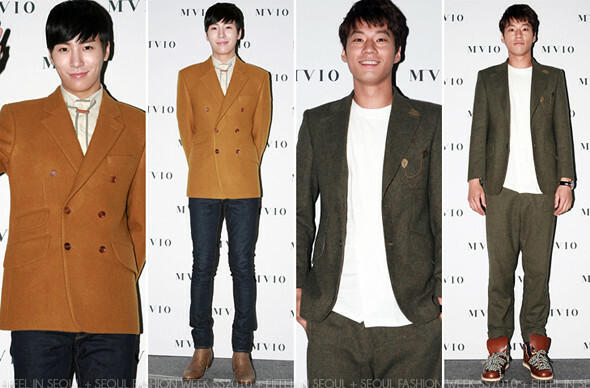 Menswear designer, MVIO held their Spring/Summer 2011 fashion show at Setec on October 22, 2010 at 12.30pm. 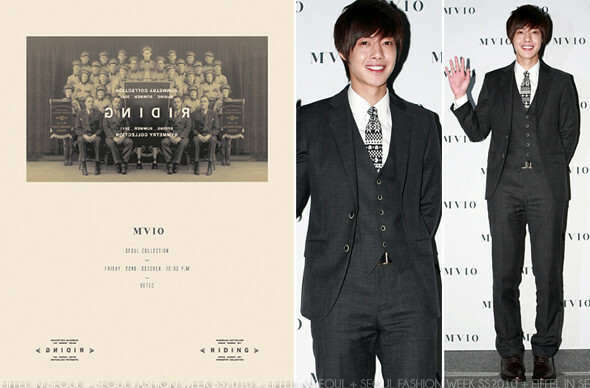 The show attracted stars like Kim Hyun Joong (김현중) who is the model of MVIO, No Min Woo (노민우) as well as Lee Chun Hee (이천희). Kim Hyun Joong (김현중) was undeniably my best dressed at the show. He looks clean and fresh, and I die for a man pretty boy in suit! And how could we miss out on the photos?! Although it's not the full collection, but good enough for the time being! 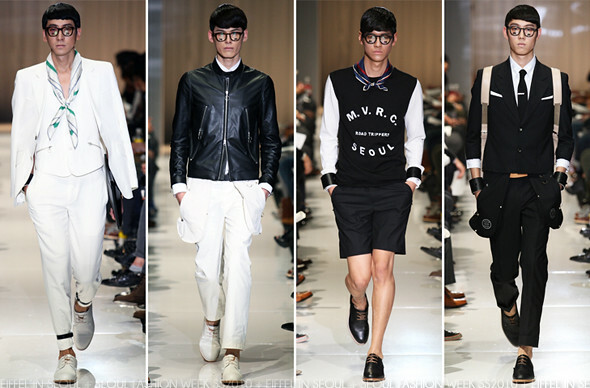 I absolutely adore the "M.V.R.C" tee, definitely "inspired" from Marc by Marc Jacobs. I thought it was really cute. Don't forget to follow @mvio_ on Twitter! 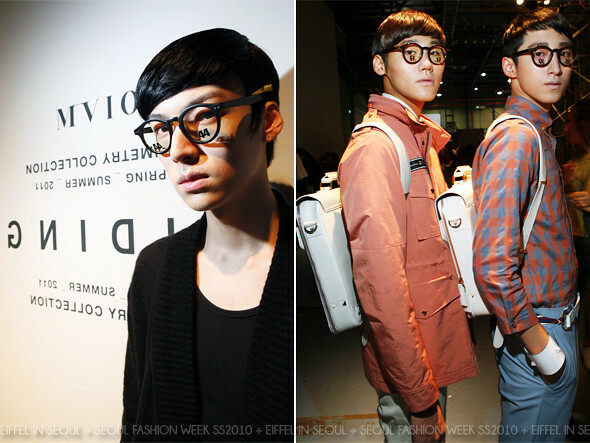 All photos courtesy of Seoul Fashion Week. I find the glasses very interesting... I hope we'll see it maybe on GD for Big Bang's comeback?